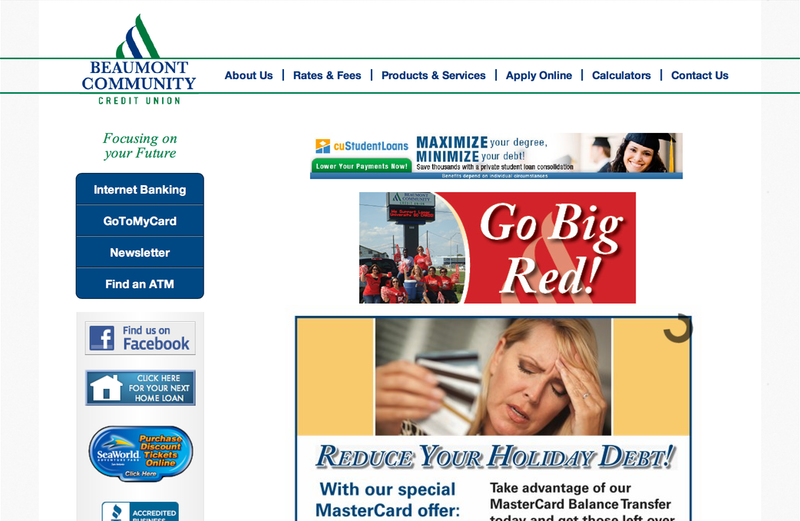 Beaumont’s website is built on ASP.NET, and utilizes a master page to keep the navigation headers and footers consistent throughout the site. The challenge with this build was creating a fresh new look to complement the client’s existing logo and online banking services, while retaining the large amount of promotional material on the homepage and text content throughout the site. This was the first time I had been asked to integrate with Google Maps, and to design a mobile-friendly view of the site that would operate in-line with the desktop version. By using CSS @media queries, I was able to reflow the content of the site to fit the small screen of modern smartphones using the same HTML markup. The Google Maps integration enables credit union members to see where the credit union office is, and locate surcharge-free ATMs near their current location by tying into location services, if available.